Top Ten Thanksgiving Break Tips - #7 Expectations . 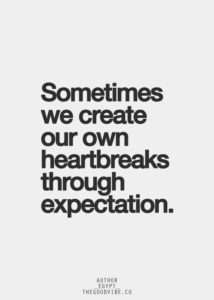 . .
Expectations, Whose Turn Is It Anyways! 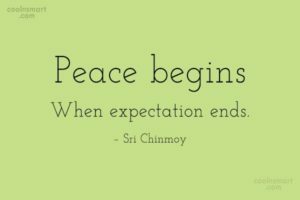 When it comes to expectations, in my experience, naming them, sharing them and accepting that they don’t often occur as we envision is the best way to achieve happiness. It is easy to build up expectations in our minds, of the first time our cadet is home, of the child we knew returning. The truth is they have been pushing through the toughest tunnel of their lives and are not the same person, how could they be? “Yup, new ways to expect things have to be accepted,” encourages T. Washer. So, Whose Turn Is It Anyways? Adjust the expectation of how your cadet will be at any given time and accept them. Adjust the expectation that your cadet will keep their room or things, and your house, orderly and accept that they are enjoying a few days without the cadre breathing down their backs. Adjust the expectation that your cadet will be around you all the time, and enjoy the moments they are there. Adjust the expectation that it will happen the way you have envisioned and accept what comes. Adjust their expectation and ask for one time dedicated to family. Thanksgiving Day Break is a short visit, full of change for our cadets. They will first deal with things being different, not having to worry about hearing loud barks to drop and give 10 (not an invitation to do so – although I admit I would find that funny – THEY MAY NOT!). Then, a few days later they wake up to the last day when they have to start getting back into the mindset of returning to harsh conditions. Whose Turn Is It Anyways? It is their turn. Be kind. Be understanding. And Keep telling yourself that Christmas Break (i.e. more time) is just a hop, skip and a jump away. Thank you again for visiting. We have been sharing these posts on our Facebook Page, then we share to the USAFA 2021 Parents Page. We will begin weening us all off of that share soon, so please make sure you “like” and/or “follow” the USAFA 2021 Spirit Mission Facebook page.